Mark Grossman: Finally! A Robot Spider You Can Ride!? But, ready or not, the ride-able spider is here. And just in time for . . . some holiday, . . . I guess. Beginning in 2009, Matt Denton, founder of Micromagic Systems, undertook the building of what has come to be called a giant spider. But for those of us who are aficionados of spider factoids, spiders have 8 legs. The fact that the ride-able spider robot has only 6 legs is just a bit of a disappointment. The designers, also, recognized the credibility gap that would develop if their invention were actually called a spider. So, they gave it the formal name: mantis — naming it after the six-legged praying mantis. By the way, if you ever get a close look at a praying mantis . 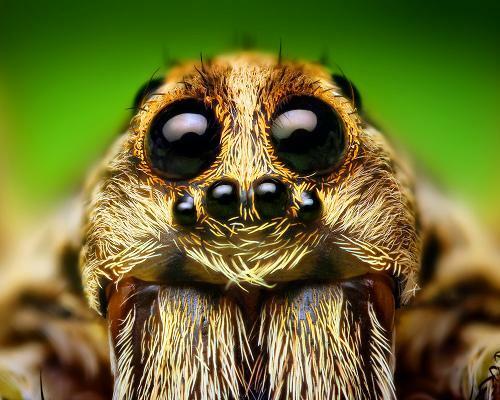 . . Well, let’s just say that, in terms of “looks,” it can give the creepiest spider more than a run for its money. Anyway, reportedly, the construction of a giant walking robot that could carry around a human being was a long-time dream of Denton’s. The finished product isn’t just big, it’s the biggest hexapod built “so far.” At a height of over 9 feet with a weight of 4,188 pounds, it’s “the biggest all-terrain operational hexapod robot in the world.” A Perkins 2.2 liter turbo diesel engine is required to operate the hydraulics that moves its many legs. And I wasn’t kidding when I talked about riding the wild spider, either. Micromagic Systems is actually making the Mantis available for rent. It doesn’t move fast, but it’s quite sure-footed and capable of traversing terrain that would stop a wheeled vehicle. In fact, Micromagic Systems shouldn’t be surprised if DARPA comes “a calling.” The Mantis has clear military applications along the same lines as other robots being developed for the military by the defense industry. The Mantis’ rugged performance is all the more surprising because appearance, rather than performance, is the chief characteristic of the animatronic devices Micromagic Systems has always produced. “Animatronic devices” are machines that simulate the movement of living creatures and are most often built for the production of special effects for the film industry. It was Denton’s team that created the six-legged turtle for a Harry Potter film. WAS THERE A SIX-LEGGED TURTLE IN A HARRY POTTER FILM? Although the Mantis is a fantastic achievement, I can’t help asking: It’s always six legs with you at Micromagic? A six-legged turtle. Then, a six-legged mantis. We spider-lovers are waiting for the first, eight . . . (count ‘em!) . . . eight-legged spider robot. Mark Grossman: What is Bionics?